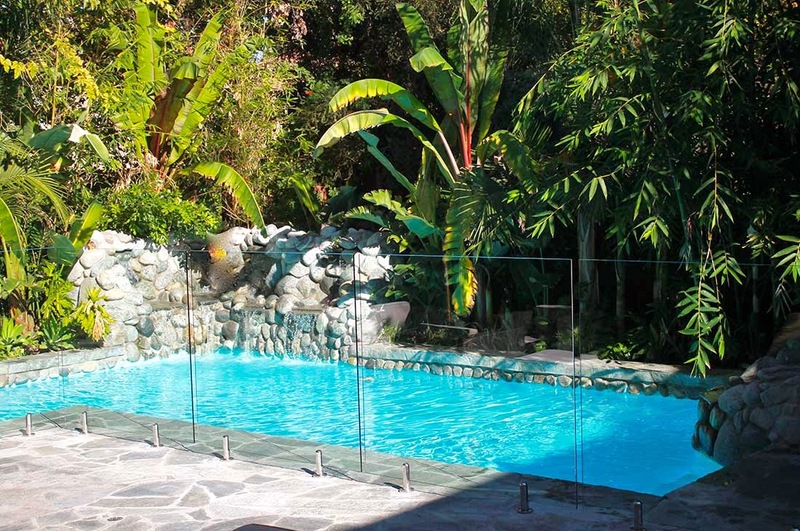 StyleGuard Frameless Glass Pool Fencing follows the latest trend in architectural design for pool enclosures. Frameless tempered glass panels are tough, durable and impact resistant. Glass panels come in heights of 4 or 5 feet and a width of 5 feet. The thickness of glass panels is 1/2 inch and they are solely attached from the bottom by high strength #316 stainless steel clamps. The clamps are base mounted & core drilled.